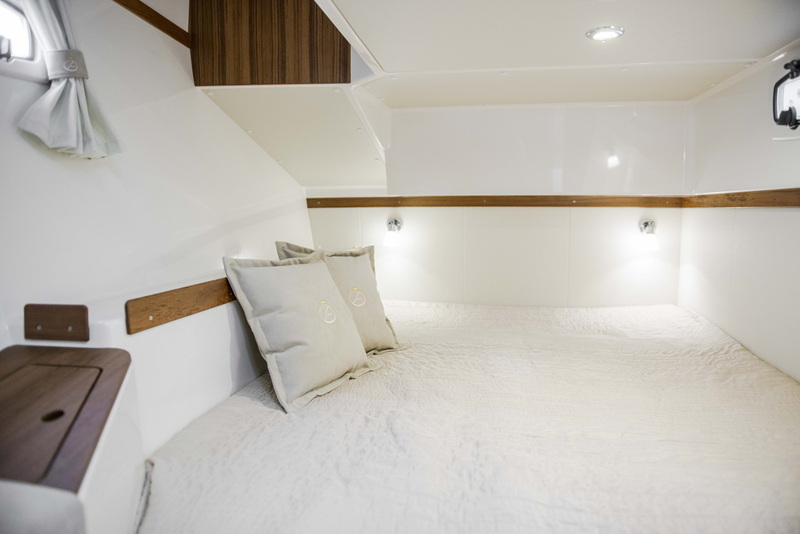 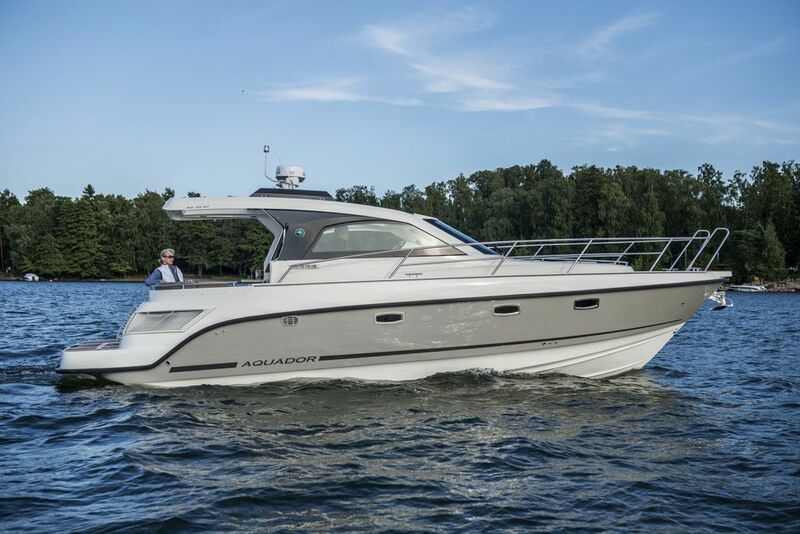 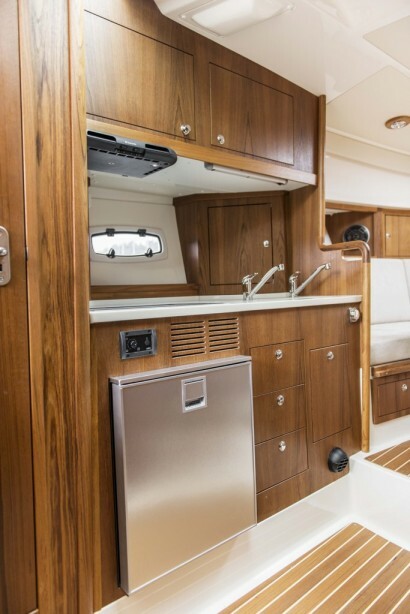 A powerful and prestigious addition to the Aquador fleet, the new flagship 35 ST redefines the whole concept of safety, boating comfort and independent cruising. 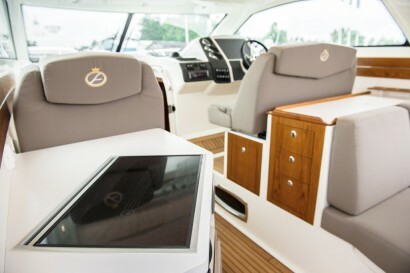 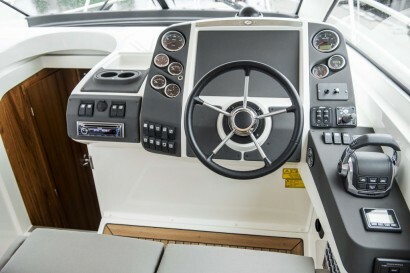 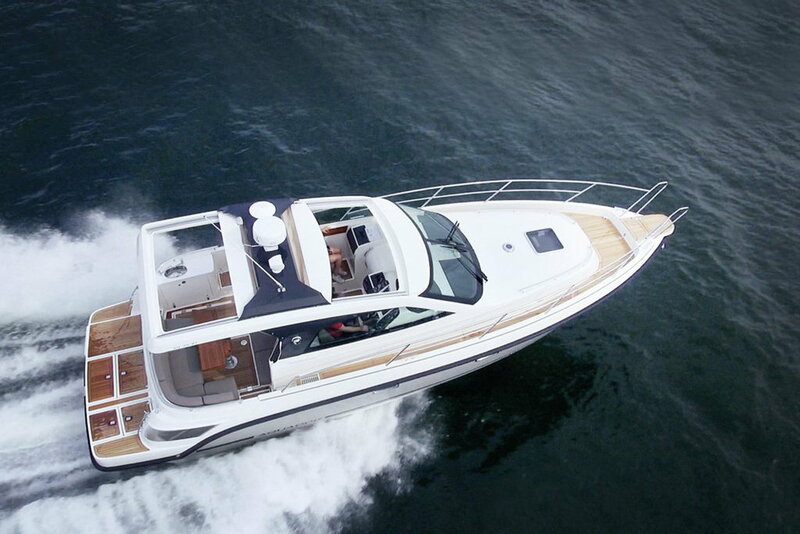 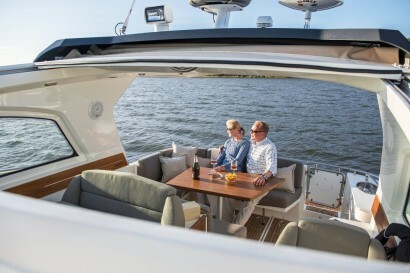 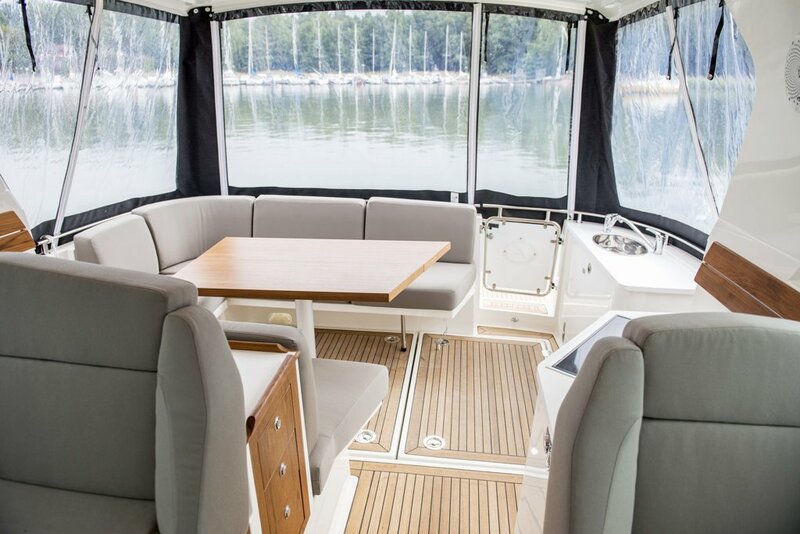 Loaded with first-rate features, including the AXIUS and SKYHOOK systems, this supremely versatile craft can be converted with ease from a cosy, enclosed sport-top to an open daycruiser, thanks to generously proportioned roof hatches that glide fore and aft throughout the length of the stylish roof. 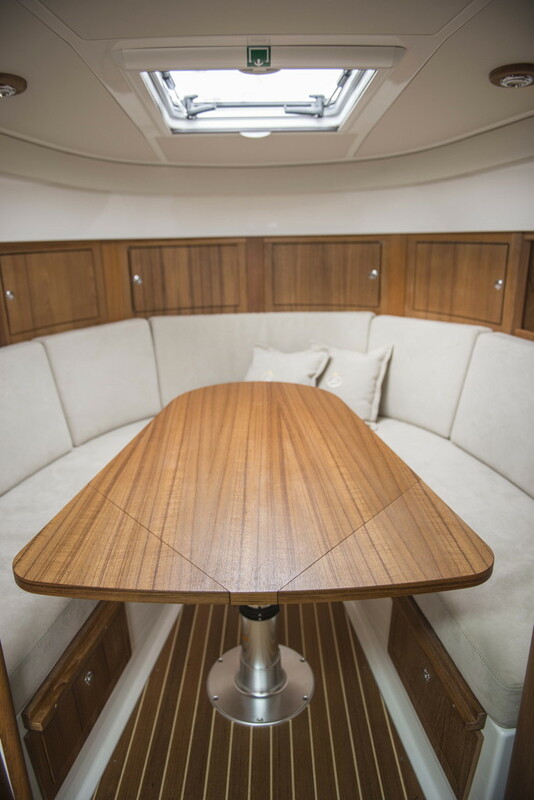 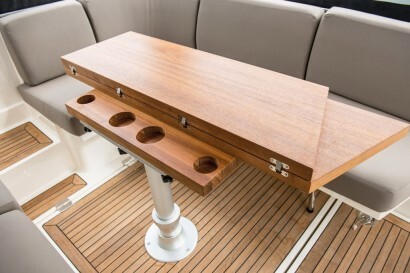 These clever twin hatches, coupled with a stable hull and superbly responsive handling, greatly enhance this elegant craft’s inshore-offshore capabilities in all weathers. 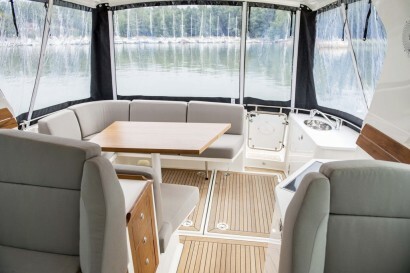 The 35 ST features an exciting new interior colour scheme and a wide swim-platform.